Over 10 years ago Joseph Pine & James Gilmour signalled the move to what they called the ?Experience Economy? where customers seek unique experiences that are all about them. Today, we see this play out as private and public sector organisations struggle to meet the growing demands for highly personalised, timely and relevant services and products that mirror consumer experiences they enjoy every day. The gap is widening and the only way to meet these is to embrace the same platforms that support the Internet?s consumer scale and reach. Greg Stone Greg Stone will provide an overview of how organisations ? starting with the end user - can bring together the assets of the enterprise and the needs of its internal and external stakeholders through application of human-centred design principles supported by cloud and mobile, and ambient technologies to meet these challenges and deliver considerable savings. AFTER the conclusion of Greg's presentation at 1.30pm, there will be an opportunity for you to network with your industry colleagues over tea and coffee until 2.00pm. Greg Stone is Chief Technology Officer for Microsoft Australia, and supports Microsoft?s technology policy and strategy initiatives working across Public and Private sectors as well as contributing to Microsoft?s long term technology blueprints - particularly in the areas of identity, collaboration, human-machine design. Greg also maintains a deep interest and expertise in the interplay of technology and the built environment having qualified in and practiced architecture for some years earlier in his career. 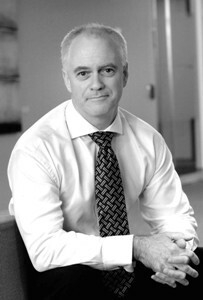 Greg joined Microsoft Australia in 2001 with over 20 years of executive business and IT experience across a broad range of industry sectors.